The coming of the Holy Spirit. 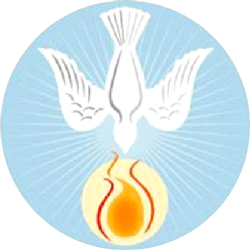 Confirmation confirms the coming of the Holy Spirit. We are made members of God’s family at Baptism. At Confirmation, our Baptism is completed or “sealed” by the Holy Spirit and we are called to be Christian witnesses, just like the apostles. The whole of our Christian living and the life of the Church, too, are sustained by the same Spirit. We welcome adults into the Catholic Church. 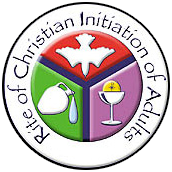 The RCIA (Rite of the Christian Initiation of Adults)is a process, which involves the community in journeying with a non-Catholic who has asked to become a Catholic. It involves a number of stages punctuated by liturgical rites to aid and assist the potential person toward the final rite at the Easter Vigil at which time they will become full members of the Roman Catholic Church. The entire process takes several months, but participants are invited to proceed at a pace, which suits them individually. An invitation is extended to all who want to join this group, which includes people from all parts of the world and journey with them in discovering Christ together.